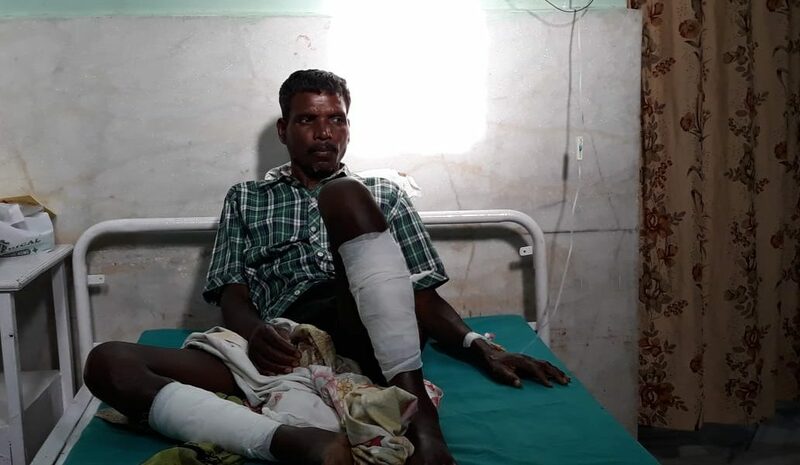 New Delhi: Days after a man was lynched by a mob and three others were injured because they were carving a dead ox in Jharkhand’s, the police registered an FIR on Friday – against the three men who were injured. 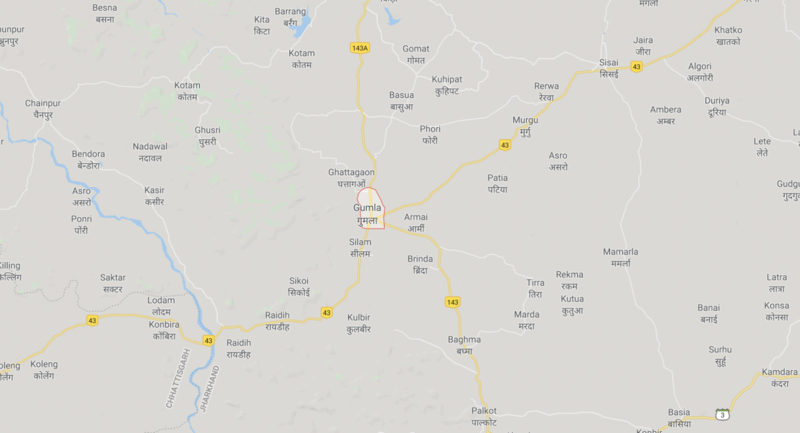 In Jhurmo village on Wednesday, Indian Express reported, a 20-year-old ox died of natural causes on the farm of Adranish Kujur. At least 35 villagers came around to carve the animal. But soon a mob arrived – armed with sticks and rods – and claimed that the Adivasi villagers had slaughtered the ox. “In the evening I got to know that my ox had died. It was very old and has been with me for the last 20 years. I left it in my field and informed the villagers. I was not part of the group that went to carve it up,” Kujur told Indian Express. While most managed to escape, according to the newspaper, Prakash Lakra was killed by the mob and three others were injured. After the violent attack, the mob had taken the four men to the Dumri police station. They were rushed to the hospital, where Lakra was declared dead. “Suddenly, a few people came and started beating us mercilessly with rods and whatever they could carry and we did not know the reason behind it. People chanted slogans and we ran for our lives. The four could not escape,” one of the other people present told the Indian Express. “A few villagers from Jairagi were returning from Chhattisgarh… They spotted a few people cutting the flesh of a dead ox. However, they thought they had slaughtered a cow. They started beating them up… The Jairagi villagers took all four persons to the Dumri Police Station where one of the person’s condition deteriorated… (He) was rushed to the hospital where he was declared brought dead,” deputy inspector general (Chota Nagpur Range) Homkar Amol Venukant told the Indian Express then. While Venukant had said that the villagers were carving a dead ox, the police has since changed its tune. On Friday, after a complaint from those who are accused in the lynching, the police filed an FIR against them for cattle slaughter. “We have registered a case against the three injured under The Jharkhand Bovine Animal Prohibition of Slaughter Act,” said M.L. Meena, ADG (operations). The FIR in the lynching case names seven people, all from the neighbouring Jairagi village – Mahendra Sahu, Shiva Sahu, Jeewan Sahu, Sanjay Sahu, Satyendra Sahu, Santosh Sahu and Sandip Sahu. Two of them have been arrested. The Jharkhand Janadhikar Manch, a coalition of human right organisation, said on Twitter that representatives had met two of the lynching victims on Sunday. “The mob kept shouting ‘Jai Shri Ram’ and ‘Jai Hanuman’ while beating the Adivasis. They were beaten more if they didn’t repeat the naaras [slogans]. The police kept them waiting through the night under the open sky before taking them to a hospital,” the organisation said. It has become common practice for the police to file FIRs against victims of violence perpetrated by so-called cattle protection groups. In Uttar Pradesh, when a mob of vigilantes even killed a policeman who was trying to control the violence, the state authorities still openly said they were giving precedence to the ‘cattle slaughter’ investigation over the policeman’s death.